Here are my photos! Please send/give me more, this page needs to groooow! Heather, on a beach of Lake George, New York. 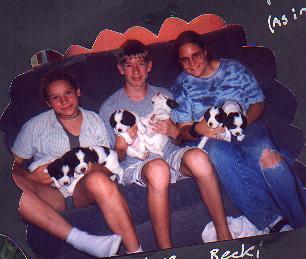 (Left to right) Heidi, Steve, and I at Heidi's house, holding Skylar, Bubba, Princess, Angel, Lucky, and Crystal.